Hey gang, quick reminder. 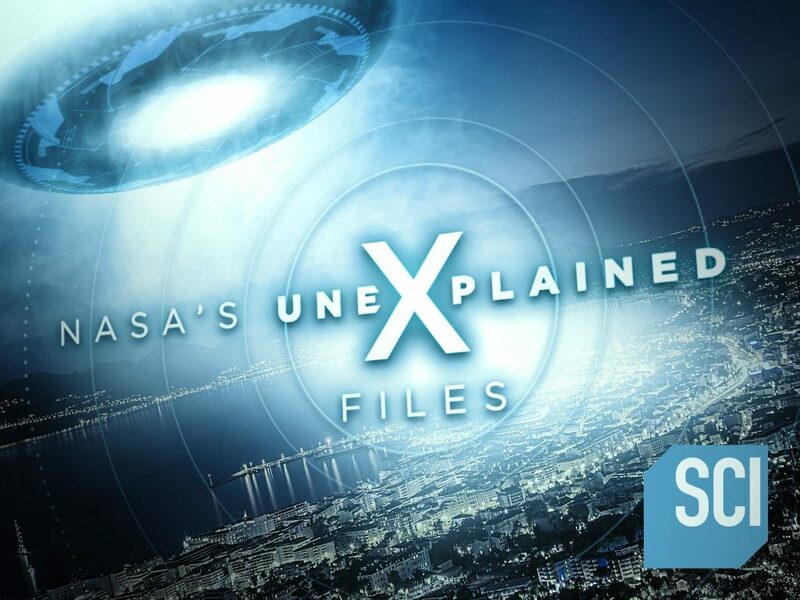 I’ll be making my television debut tomorrow night on the third episode of NASA’s Unexplained Files on Science Channel at 10pm Eastern. Knowing my audience, I expect at least half of you will be in a theater somewhere watching the opening screenings of Avengers: Endgame. I totally will be. So make sure to set your DVR, or catch it streaming on the Science Channel Go app. Once I actually see the episode and get the chance to witness how my interview was edited and arranged, (still haven’t, it’ll be just as new to me as the rest of the audience) I’ll put together a blog post, or maybe a video that goes deeper into the story and the research, the stuff that didn’t make it to the small screen. It’s going to be fun. Hey fans, as most of you know, I’ve made the annual pilgrimage to Indianapolis for GenCon for many years. This year is no different, and once again I’ll be participating in the excellent GenCon Writer’s Symposium. This is quite literally where I got my start as a professional writer. The panels and connections I made there way back in 2009 were instrumental in moving me down the road to publication. Any aspiring authors out there should really consider attending, especially if you’re already going to be at the con. 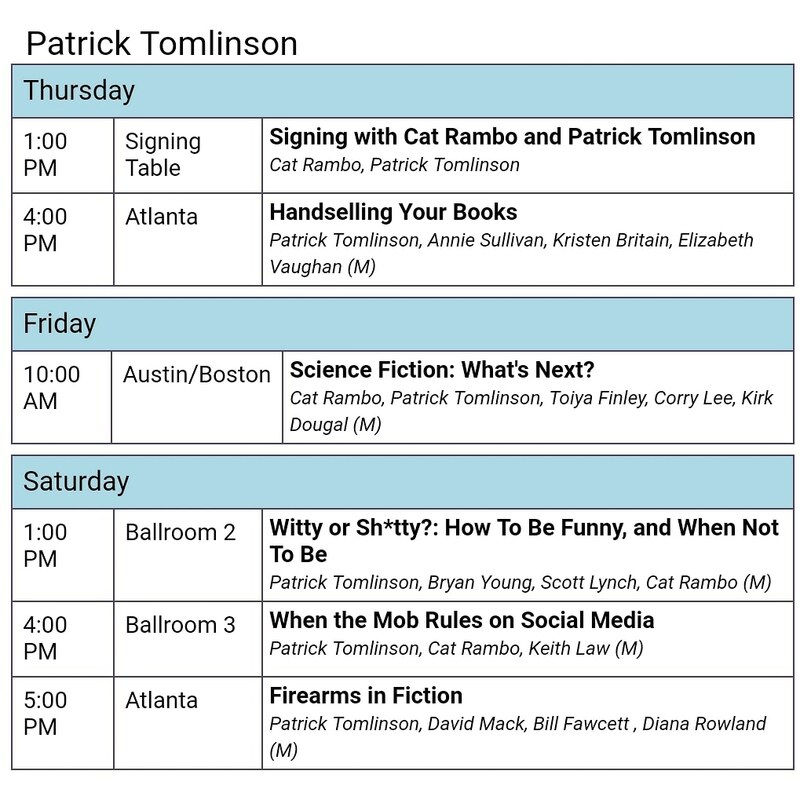 Anyway, here’s my signing and panel schedule. Swing by and say hello! As always, if you like what I’m doing here, consider subscribing to my email list in the blue box at the top of the page. If you really like what I’m doing, preorder my next book, STARSHIP REPO, coming in May from Tor Books. Oh, and follow me on Instagram @pstomlinson. Big announcement time, everyone. Since last October, I’ve been sitting on some great news that killed me not to be able to share. But with the blackout lifted, I can finally come clean. 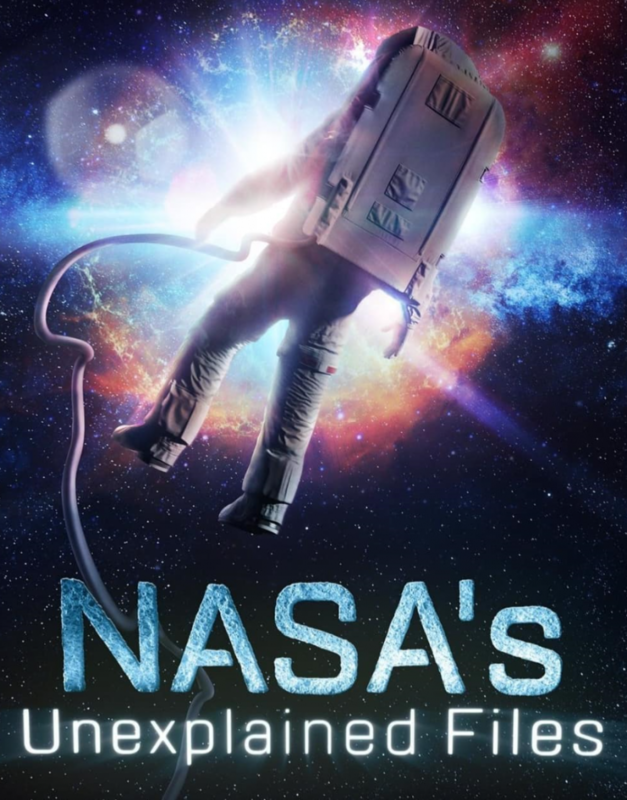 Beginning this season, I’m going to be a recurring contributor for the hit Science Channel show, NASA’s Unexplained Files. My segments were filmed last October right here in Milwaukee when the director and camera crew swung by for an extended interview. Since then, it’s been in editing and post-production. That work is now finished, and the sixth season’s first episode premiers tonight, April 11th, at 10pm EST on Science Channel. My first appearance won’t be until the third episode on April 25th, but tune in anyway to meet the other contributors. They’re a heady mix of physicists, astronauts, and astronomers. The show is legitimately good entertainment that stays grounded in real science, unlike an alliterative alien program I could mention. I’ll be sending out alerts for each episode I’m appearing in this season, and I plan on blogging about each segment, going deeper into the background of each subject and the research I did preparing to talk about it, so if you haven’t done so yet, make sure to subscribe to my email list at the top of the page. It’s going to be fun, see you on the small screen soon.